to the eastern part of North America. It grows in shady, deciduous forests and near hedges. The main compounds isolated in black cohosh are glycosides, namely triterpene glycosides: actein and its aglycone acetylacteol,cimicifugoside and its aglycone cimigenol, 27- desoxyactein, desoxyacetylacteol and other aglycones. Furthermore flavonoids and aromatic acids like isoferulic and salicylic acids have been isolated. 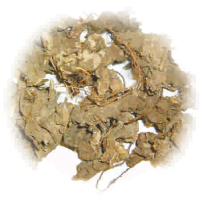 In addition the rhizome contains resins, volatile oil, fatty acids, tannins, alkaloids, phytosterols, starch and sugar. Extracts of black cohosh are used for the treatment of menopausal complaints, including postoperative deficiency symptoms after ovariectomy and for the psychological and neurovegetative stabilization of the patient. The therapy with black cohosh results in relief of subjective symptoms, such as hot flushes, outbreaks of sweating, restlessness,anxiety and irritability. Psychological as well as neurovegetative symptoms are improved. Black cohosh extract is generally well tolerated. Side-effects are rare when the standardized extract is taken. In exceptional cases headaches, gastrointestinal disturbances and weight problems may occur, which is not surprising as these symptoms are associated with the indications of Cimicifuga racemosa. There are no known contraindications to the long-term use of black cohosh extract. There are no known interactions with drugs usually prescribed. It should not be taken during pregnancy and lactation. 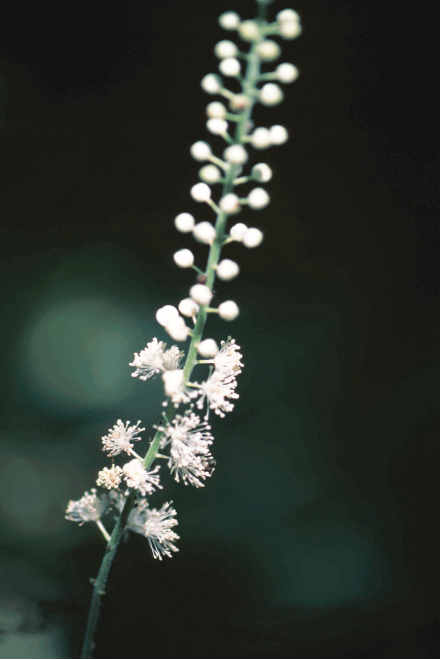 Black cohosh extract is notable for its particularly high level of clinical safety. Particular emphasis should be put on the high tolerance of its preparations leading to a high level of treatment compliance because of the almost total absence of side-effects.